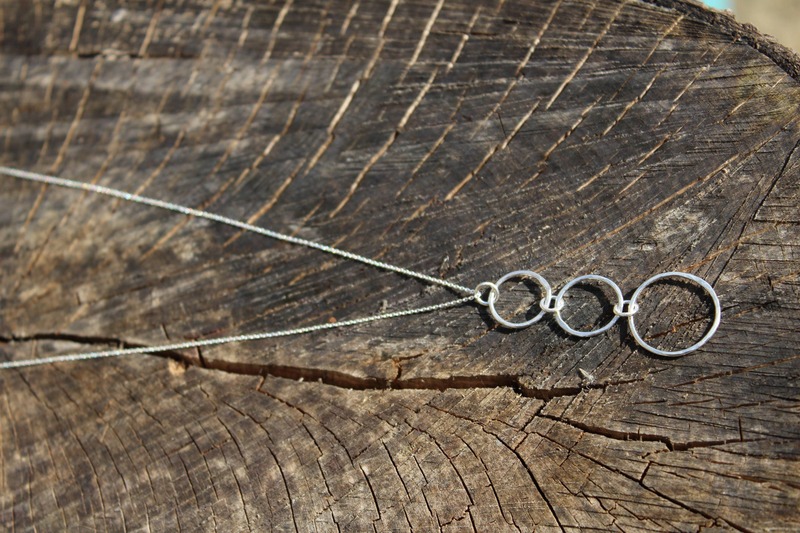 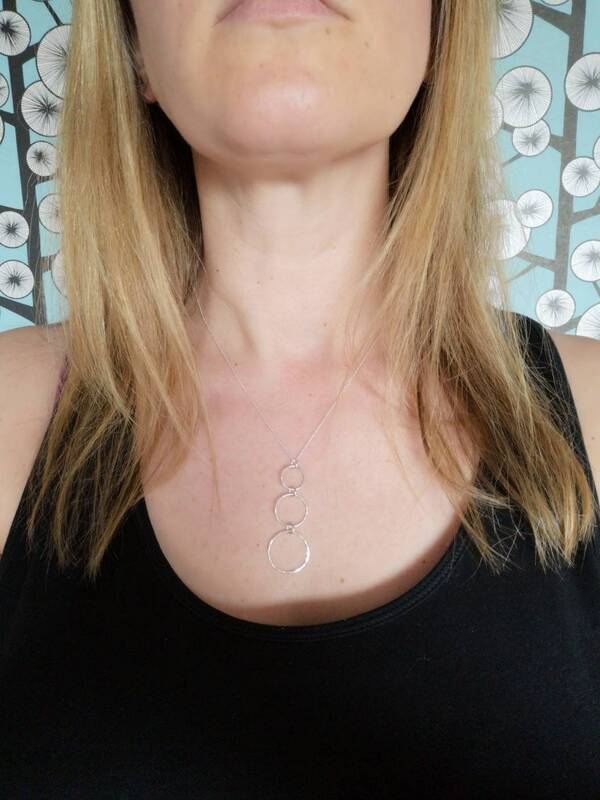 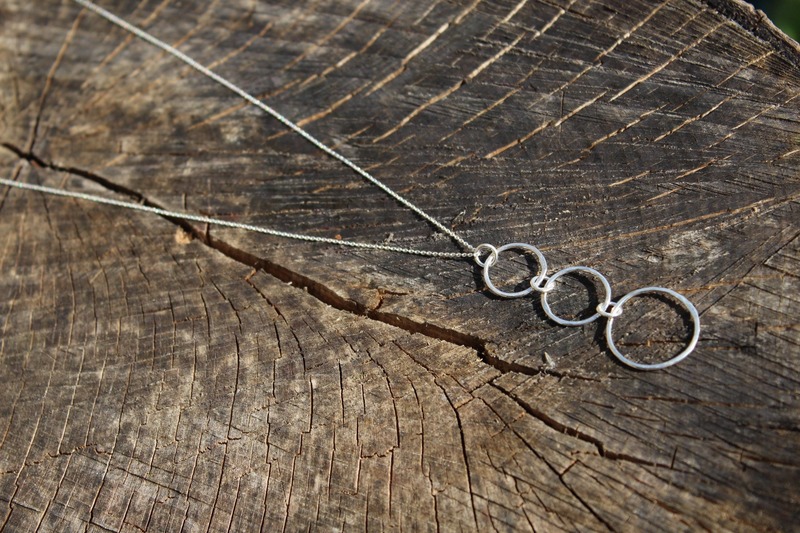 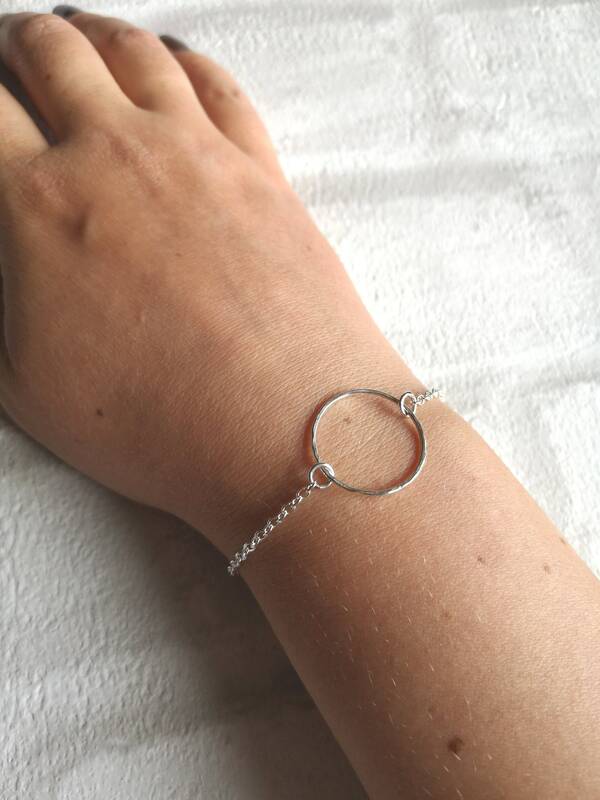 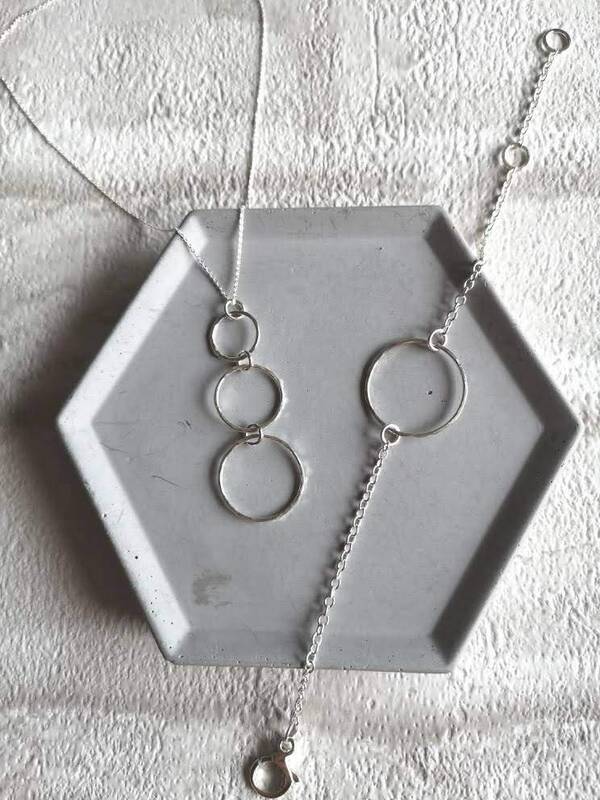 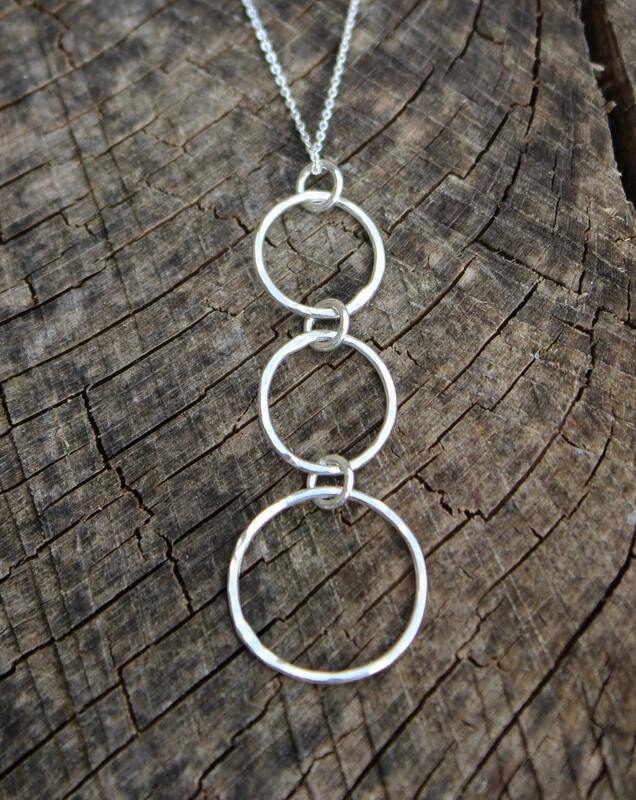 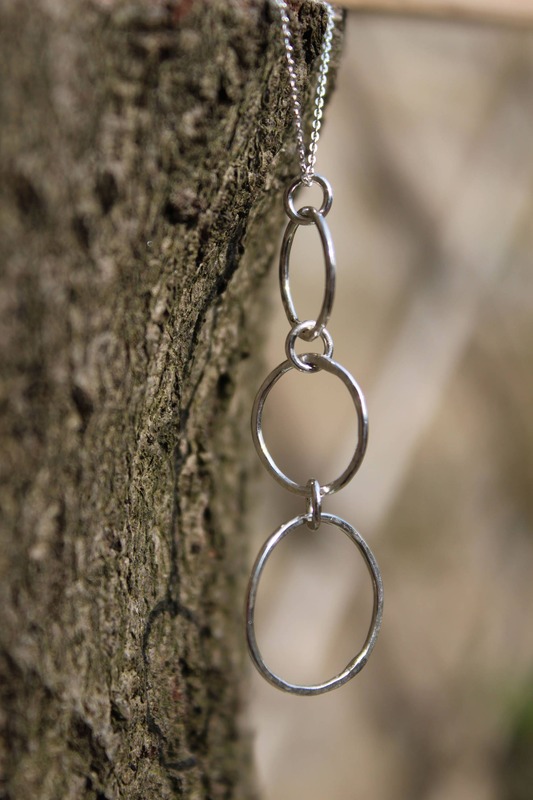 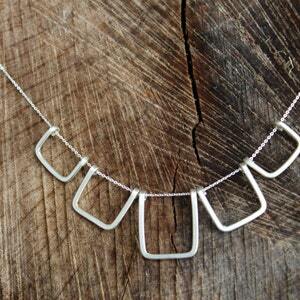 This lovely necklace is made from 3 hammered sterling silver hoops which hang 4.5cm long. 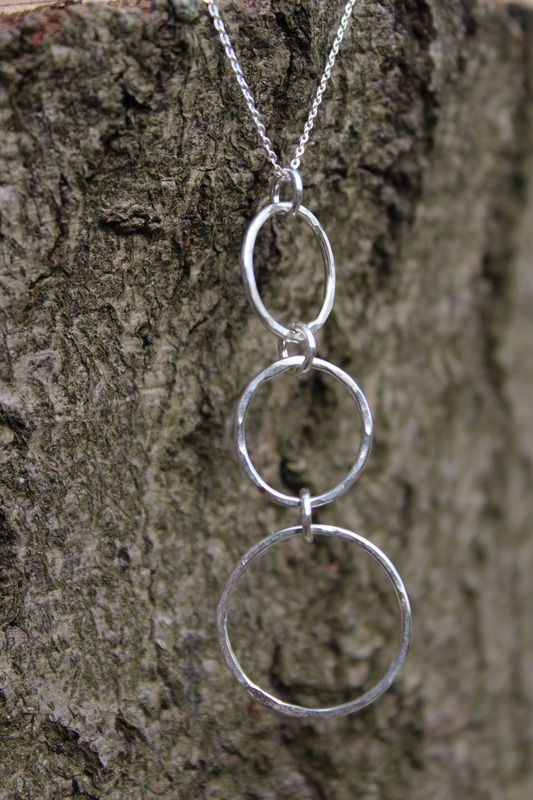 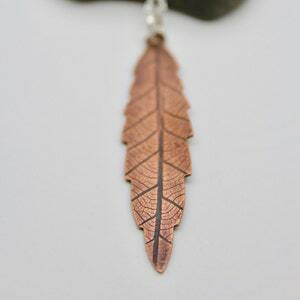 The pendant hangs on an 18-20" adjustable chain. 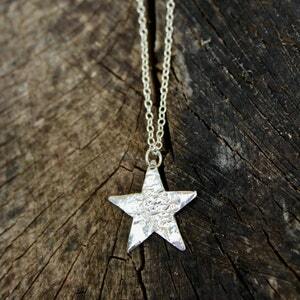 Your necklace will be beautifully packaged in a gift box and sent along with a care card and polishing cloth. 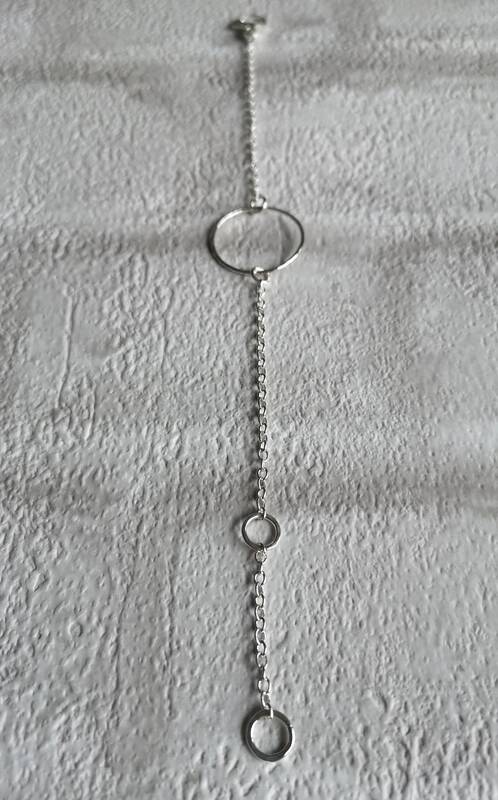 I'd be happy to include a handwritten note if this is intended as a gift. 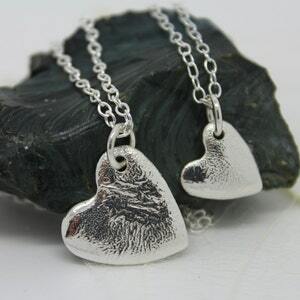 I will send you notification once I have dispatched your order.